Richmond is the fourth largest city in BC, just 25 minutes south of downtown Vancouver and 25 minutes north of the United States border - a city of stunning mountain vistas, beautiful waterfront sunsets and vibrant urban living. Known for the Gulf of Georgia Cannery and Britannia Shipyards National Historic Sites, the charming seaside village of Steveston, world-famous Asian summer night markets, Chinese New Year celebrations and other special events throughout the year, Richmond, BC, gives visitors a unique "Far East meets West Coast" experience of authentic Asian culture along with the attractions and activities of the Lower Mainland's Western Seaboard. 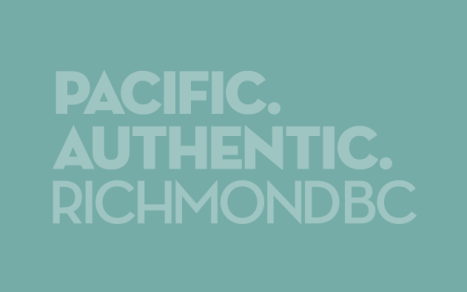 For food lovers, Richmond is a daily dining adventure, promising fresh seafood from its resident fishing fleet , the best Chinese restaurants outside of China and unparalleled authentic cuisine from across Asia - especially among the 200+ restaurants along the three short blocks of Alexandra Road in The Golden Village.